Collaborations Workshop 2015 (CW15) took place at the Oxford e-Research Centre, Oxford on 25-27 March 2015. The theme was interdisciplinary working and its relationship to software. The workshop brought together researchers, software developers, managers, funders, publishers and more to explore software and research, and to share good practice in interdisciplinary collaborations. It was a great opportunity to meet many of the Institute's 2015 Fellows. As with previous Collaboration Workshops, CW15 was an unconference - an organisational philosophy that ran through the schedule. After a keynote from Andrew Hudson-Smith, the workshop focused on lightning talks, collaborative ideas sessions and discussion topics. It concluded with the CW Hackday which allowed participants to realise some of the ideas they had during the workshop. The Hackday focused on reproducible research, data/code sharing and data science and, there were prizes for the best team efforts. The Hackday started on the evening of 26 March after the main CW15 event. Look at what you could of won!. Please keep an eye on our news section and @SoftwareSaved on Twitter for CW15 related post workshop updates. Take a look at the annotated agenda for CW15 to explore what happened. 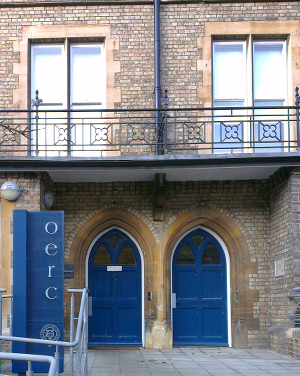 CW15 was supported by, and hosted at, the Oxford e-Research Centre. GitHub very kindly sponsored CW15 and the CW15 Hackday. If you would like to sponsor a future CW, please contact us. Find out who came to CW15. These workshops gives researchers from across the disciplines the chance to connect with other researchers and software developers (also known as Research Software Engineers) who can help them implement their research ideas. Investigators and project managers learn the latest themes in collaborative research and how best to bring together researchers and developers for more efficient and effective collaborative work. Funders gain an understanding of interdisciplinary research and both how and why it should be best funded. Publishers gain insights into what the grassroots think about future trends in publication (including software citation, code/data sharing policies and artifact evaluation). Legal and Knowledge Transfer staff can better grasp software’s place in research and how and when to consult colleagues on the best ways to exploit their work. Administrative functions of research based institutions can better understand the way software support is essential for research now and in the future; the competitive advantages associated with nurturing software based roles becomes clearer. Find out more about the Oxford e-Research Centre. To find out more about Collaborations Workshops and other workshops run by the institute please consult our workshops page.